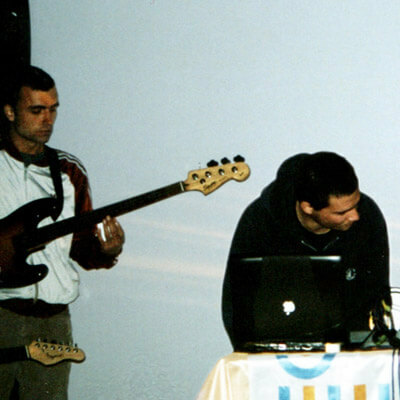 Superbus are the producers and musicians Balázs Hegyi and Csaba Barnóth. They’ve already appeared on more compilations including Future Sound of Budapest vol. 4, Progressive Folk and Cafe Unicum. Their jazz-lounge debut album Debut is one of the most popular records of Sojus at the moment. Their second album Quest is soon to be on the site! Love your music, guys! Used your track Finest Morning on my episode 5 podcast at theloadingscreen.com. Drop us a line some time! We like your song Finest Morning a lot and we would like to use it for our company Powerpoint presentation. It usually runs in the background while we are setting up a trade show, fair or event. What do we need to consider? We will mention your name and the title of the song at the end of the presentation. We might want to publish the presentation also in our website: http://www.comxpert.de. Please let us know if this is ok with you because it looks like it is forbidden to use it for commercials. I’m making some free PC games and distributing them on the web. Completely non-commercial, just personal development. It’s just to explore and share with others who are doing the same. I found some of your music on the free music archive. I really like a couple of tracks and would like to use them as background music to some games. Are you okay with this? Interpretations on Non-Derivative vary so I thought I would ask you direct. Yeah, if it’s non-commercial, then go!